This light little muffin is a perfect addition to any breakfast of brunch menu. NOTE: They rise nicely, but be sure not to overfill the muffin cups of they will sink. Mix the flour blend, salt, baking soda, baking powder and together and set aside. Beat the eggs, sugar, and mayonnaise until fluffy. Add the flour mixture, milk and vanilla and mix well. Blend in blueberries and lemon zest. Pour batter into the prepared cupcake tin about ½ full. Bake at 325 degrees F for approximately 25 minutes. 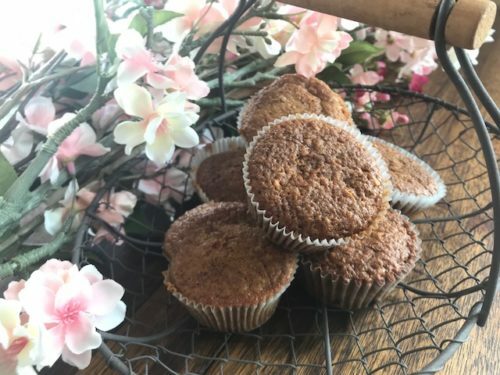 Muffins are done when they spring back when lightly touched or when a toothpick inserted near the center comes out clean. Let cool completely.